To make the best of the upcoming festive season, Toyota India has updated its most popular offering, the Innova Crysta. Launched in 2005, Toyota India has sold over 7.60 lakh units of the Innova in India. 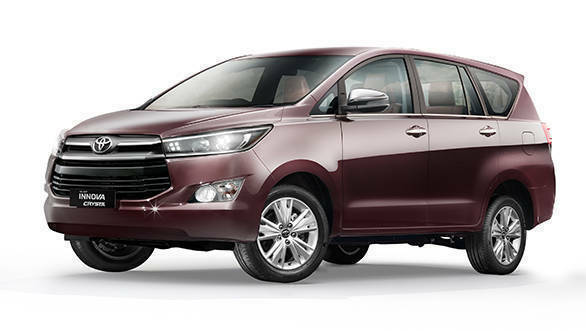 The 2018 Toyota Innova Crysta gets aesthetic and feature updates only without any changes to the powertrains offered in it. The price range for the updated MPV is between Rs. 14.65 lakh and Rs.22.01 lakh, ex-showroom Delhi. While the comparatively premium Touring Sport version of the Innova is priced between Rs 18.59 lakh and Rs. 23.06 lakh, ex-Delhi. Toyota dealerships across the country have already started accepting bookings for the same and we expect the deliveries of the same to begin shortly. "Ever since its launch in India way back in 2005, the Innova has maintained a leadership position and is often referred to as a segment creator being the most preferred MPVs in the country with a current segment share of over 40 per cent" commented, N. Raja, Deputy Managing Director, Toyota Kirloskar Motor Pvt. Ltd. He further added, "We have registered strong demand with cumulative sales of over 52,000 units from January to August 2018 period, with a growth of 13% as compared to same period previous year. We thank our customers for their strong support and trust in the Innova brand. At Toyota, we listen to our customers' voice and are continuously striving to make ever better cars. This iconic brand has grown to become not just the pride of Toyota but the pride of more than 7.6 lakh owners of Innova in India. With many new features added we are confident that customers will have an enjoyable and safe driving experience at all times."